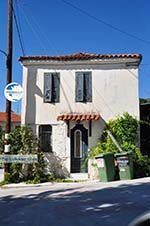 Pyrgadikia. 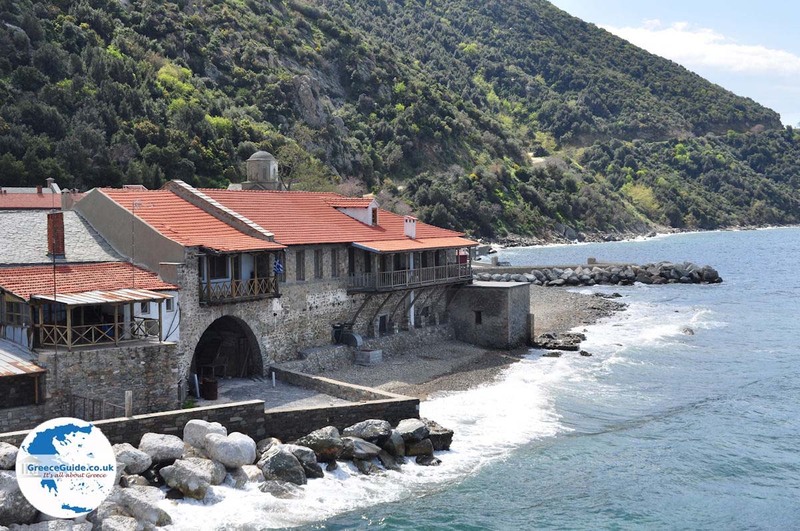 Pyrgadikia is a fishing village located in the bay of Agion Oros (Mount Athos) in Halkidiki. 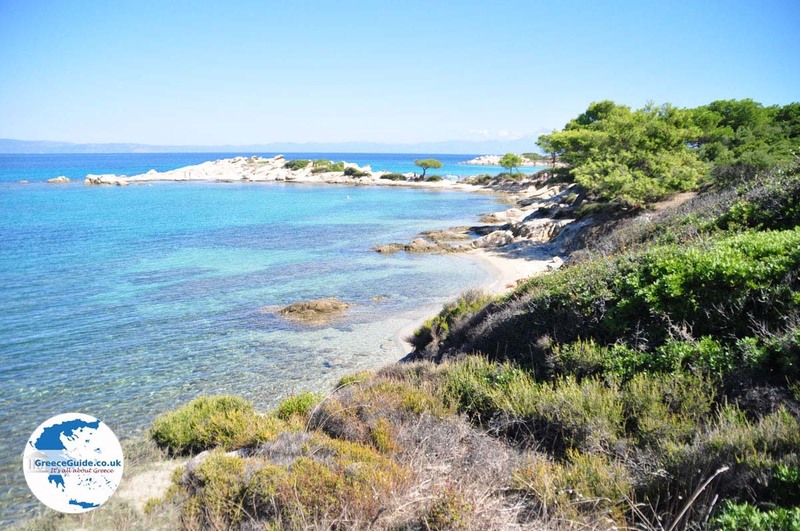 It lies in a bay, approximately 35 kilometers (22 mi) from the capital of Halkidiki, Polygyros. 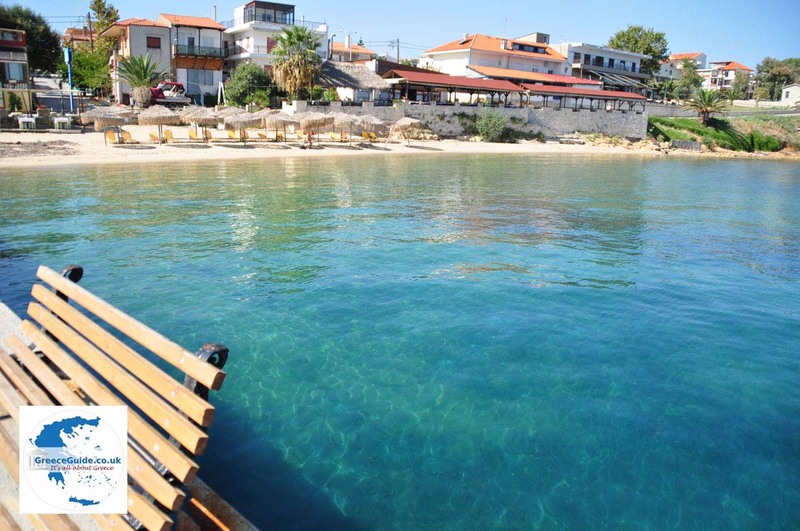 About 300 inhabitants live in Pyrgadikia, and most are fishermen or people engaged in tourism. 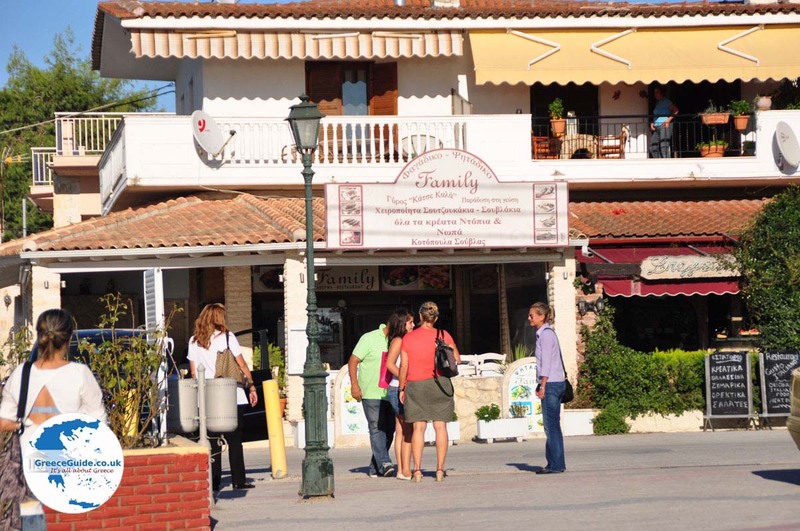 On the square at the harbor are several restaurants, seafood restaurants, ouzeris and cafeterias. 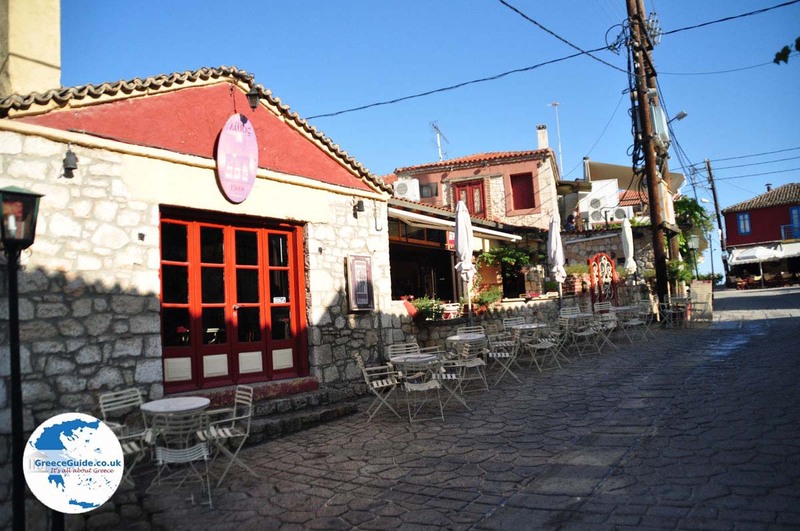 The village is built on the slopes of a hill, surrounded by a green area with olive groves and pine trees. 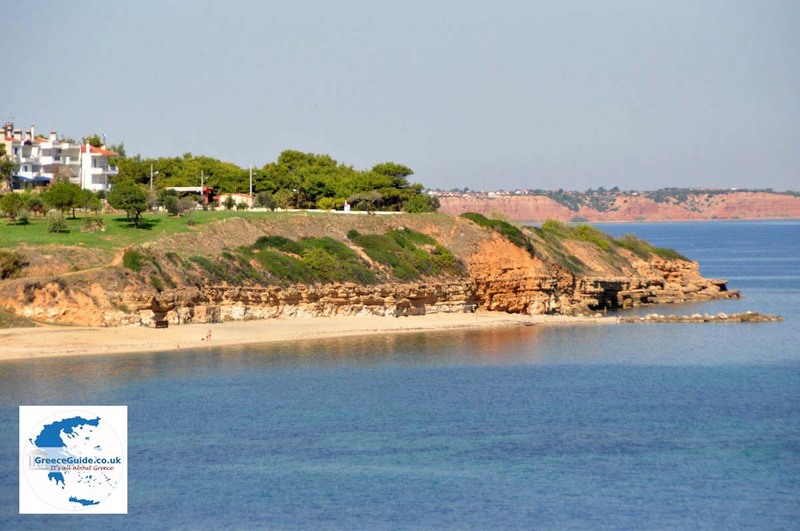 Near the village are some good beaches. 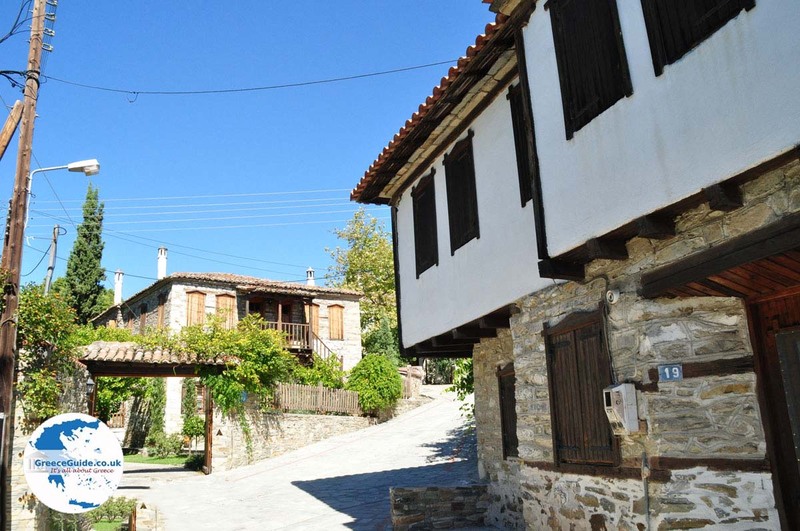 Greek refugees from Turkey built the village in 1925. 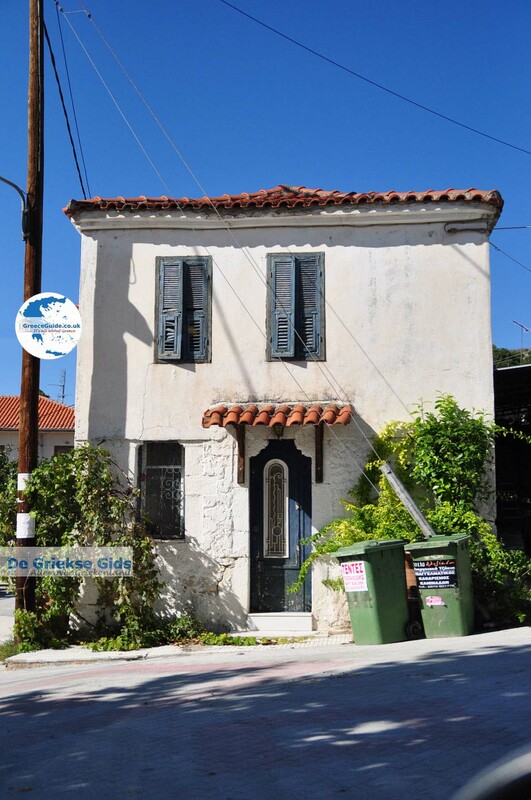 The villagers came from Afthoni, a village on an island in the Marmara Sea. On September 8 there is a big folk festival in honor of the Virgin Mary. 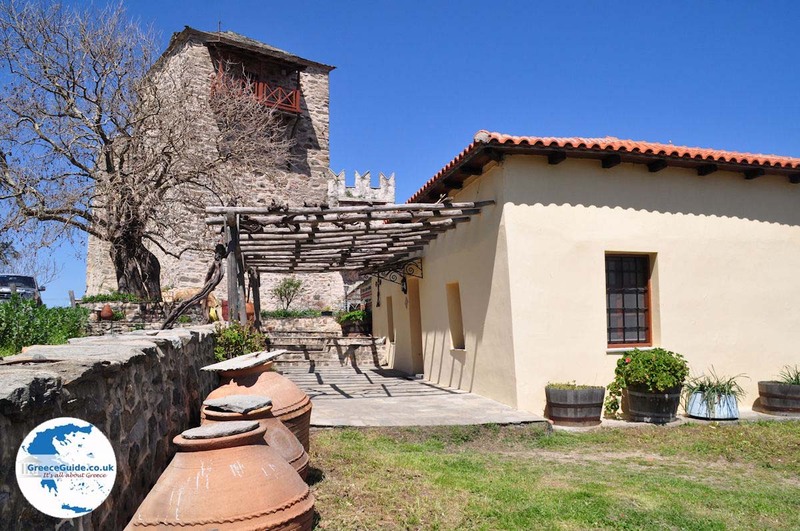 In the church of Panagia Kastrella a worship service is held and after there is dance and music. An icon of the Virgin is preserved in the church. This icon was brought Greek refugees from Turkey when they left their homes. 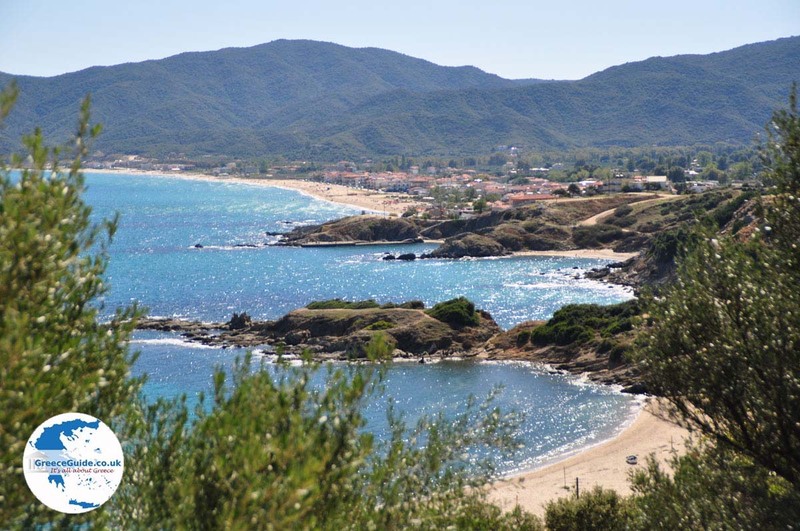 Other festivities are held for Agios Constantinos and Eleni on May 21 and John the Baptist on August 29. 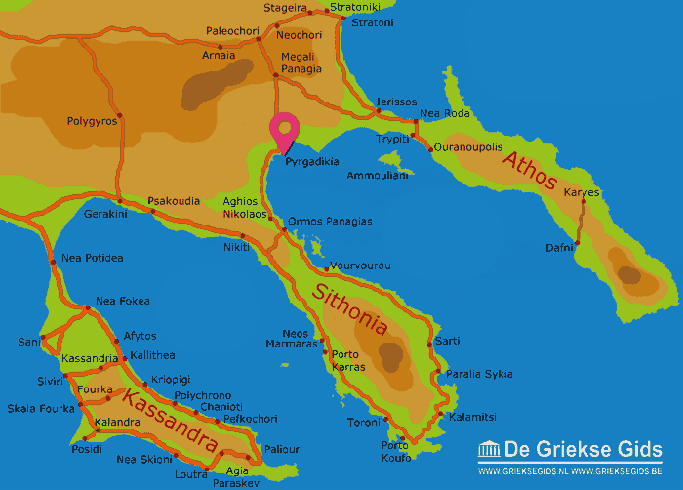 Halkidiki: Where on the map is Pyrgadikia located?